The Tennant S30 Mid-Size Rider Sweeper being used for larger particles outside. The Tennant S30 Mid-Size Rider Sweeper in use inside. 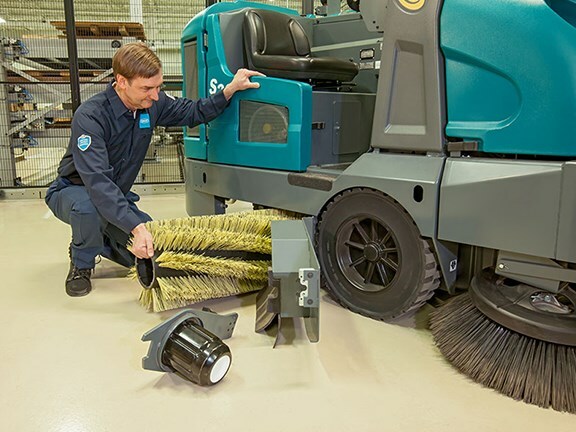 The Tennant S30 Mid-Size Rider Sweeper features offers no-tool brush and filter changes. 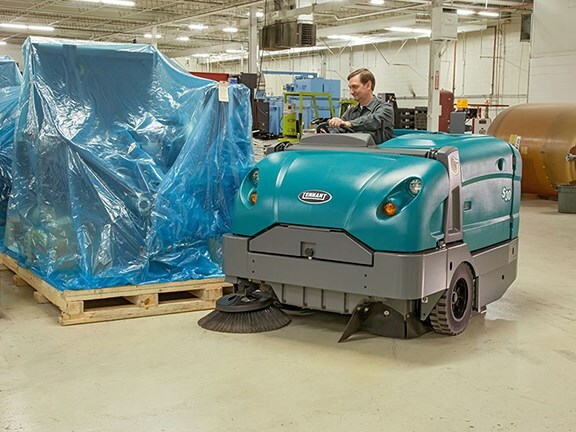 Tennant has released the industrial-strength S30 Mid-Size Rider Sweeper, which can sweep anything from fine grains of sand to light debris, can be used both indoors and outdoors, and can keep dust contaminants to a minimum. Tennant says the sweeper uses a three-stage ‘SweepMax Plus’ cyclonic system which can remove 90 percent of particulates from the airstream in the first stage and keeps bulky debris, moisture and dirt in the hopper. A second stage uses cyclonic filtration to remove up to another 90 percent of fine dust and moisture, and a third stage filters even smaller particles by using a canister filter with ‘Ultra-Web Nanofiber Technology’. "Capturing dusts in industries such as mining, mills and cement plants is a daily challenge for many of our customers," Tennant Senior Vice President of Global Marketing Rusty Zay says. "We’re excited to offer an innovative industrial sweeping solution to help our customers in these challenging environments increase productivity, enhance the air quality for work sites and neighbouring areas, reduce the cost to clean, and deliver reliable and consistent performance." 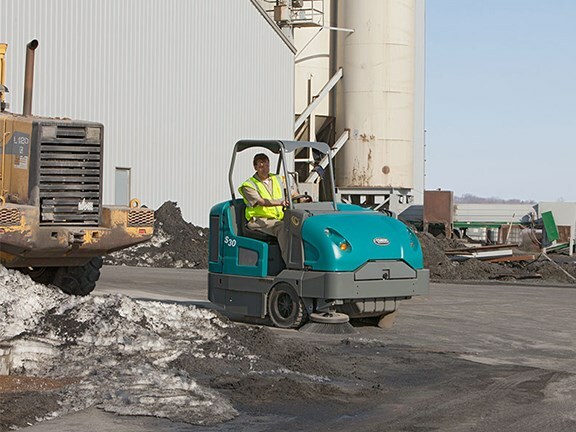 ​Among the machine’s other features are: quick, no-tool brush and filter changes; very simple ‘all-levers-forward’ control layout; ThermoSentry overheating sensor; and an optional cabin with fan and heat to keep operators safe and comfortable year-round.